It’s that time of year again. There is snow in the mountains and the resorts are full of skiers. It also means that this is the time of year for knee injuries. 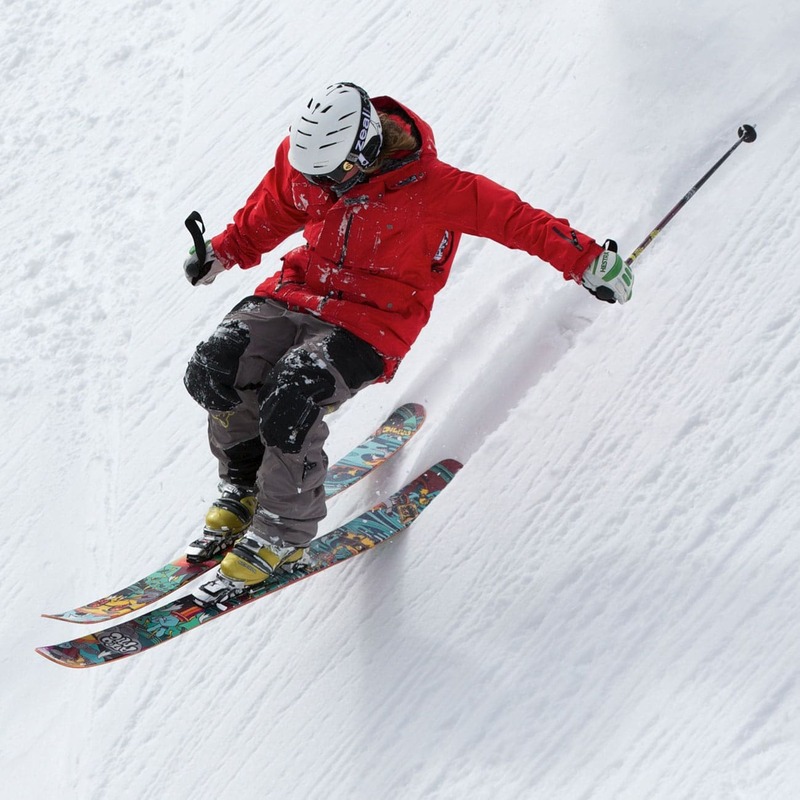 There are roughly 15 million skiers in the US who are participating in an exhilarating sport where knee injuries account for 30% of all ski injuries. A sprain or tear of the anterior cruciate ligament (ACL) is one of the most common knee injuries. When you injure the ACL, you will often hear or feel a “pop”. The injured knee will become swollen and tense resulting in limited mobility. A tear to the ACL can be painful but not always. Very often after tearing the ACL there will be a sensation of knee instability. Anyone who participates in activities that involve jumping, cutting, and pivoting is at risk. This injury occurs most often when landing awkwardly. Interestingly, women are at a 4 to 9 times greater risk for tearing their ACL than men. The reasons for this gender difference are multi-factorial. One hypothesis is strength imbalance between the quadriceps and hamstrings. Another proposed reason for the gender difference in the rate of ACL injury is anatomic differences between a female and a male. Presently there is a great deal of interest in the biomechanical difference seen between men and women with jumping and landing from a height. Studies show that when landing from a height, women put much more stress on their ACL compared to men. This research has led to the development of ACL injury prevention programs that address the differences in strength and coordination. These programs have been very successful and have been shown to reduce ACL injuries in women by 70% to 90%. Employing these programs as part of the warm up before training or a game can play a significant role in preventing ACL injuries. The consequences of a torn ACL are quite profound. It is estimated that there are between 100,000 to 250,000 ACL reconstructions performed every year at a cost of around $17,000 per case. In addition to the financial cost there is also the physical and psychological cost of recovery after surgery. It wasn’t that long ago that an ACL tear was a career ending injury. That changed about forty years ago when ACL reconstructive surgery was first described. Since then much has been learned and refined, today more than 90% of those injured will return to their active life style after surgery. The surgery involves replacing the torn ACL with a graft. The graft can either come from the patient or a cadaver. The source of the graft is determined by the patient and surgeon. The surgery is done on an outpatient bases and is approximately an hour long. Following the post-operative rehabilitation is vital for a successful outcome. It takes about a year to recover from ACL reconstruction. There are individuals who come back earlier but most patients feel subjectively they are recovered by 12 months. However, current research indicates it take nearly two years to return to your full potential. Before you get out on the slopes have your equipment inspected by a ski technician and have the DIN on your bindings set for your skiing ability. If you think that you have had an injury to your ACL seek an expert medical evaluation. These injuries rarely require immediate surgery. If the ACL is torn it is best to wait a few weeks until the swelling and range of motion of your knee returns to normal. This helps avoid potential complications associated with early surgery. To verify a tear X-rays and an MRI are often part of the medical evaluation. At Heiden Orthopedics we are looking forward to a safe and enjoyable ski season. But if you are injured, let us help, because at Heiden Orthopedics, we care.